Z1412 Compound offers high temperature resistance for long-term exposure. Z1412 also offers high pressure and explosive decompression resistance. The high modulus of Makes Z1412, makes it resistant to extrusion and ideal for use in high-pressure environments. In addition, the low long-term compression set provides a high mean time between maintenance cycles in hot chemically aggressive environments. Z1412 is suitable for both dynamic and static applications. Test Gas: 10 mol% CO2 in methane; certified. subsequent cycles (3-10) were of duration 24 hours. 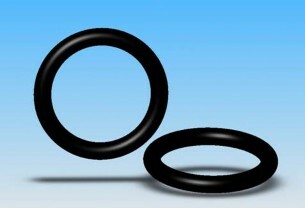 MARKEZ Z1412 0-rings (size 312) meet the RGD acceptance requirement given in the NORSOK M-710 standard [Rev. 2, October 2001]. This acceptance applies at all pressure and temperature combinations up to the levels employed above, and only for the groove geometry employed in testing.